Today, we wanted to share some news of a different kind. Sometimes the events in an individual’s life have such a profound effect on you that you feel that you have to do as much as you can to make a difference. This is one of these instances, and why we felt that it was important to tell you all about Harri. Our third of four children, Solly, precisely 5 years and 2 months old, has a friend called Harri. They’ve been friends since nursery and have spent these few short years playing, singing and growing up together. 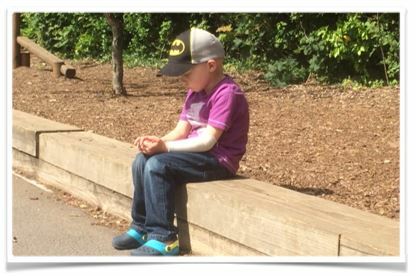 However, Harri’s world changed dramatically last December when his parents found a lump on his arm during his evening bath. 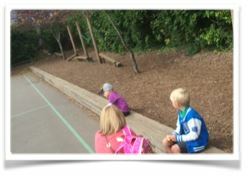 Harri’s parents were given the earthshattering news that every parent dreads; the lump was cancerous. It proved to be a rhabdomyosarcoma tumor, which is a rare and aggressive cancer that affects only a small number of children in the UK. You can find out more about Harri’s story on the Elusen Jac Bach Charity website. Harri has been amazingly brave over the last 8 months, enduring surgery as well as grueling radiotherapy and chemotherapy. This has now been completed and Harri, his sister Ellie, his Mum Liz, and his Dad Lee, are looking forward to spending some much needed time together. We’re fortunate enough to live in a great community, and the people of Rhiwbina have come together to raise thousands of pounds to support Harri and his family. This allowed his Mum and Dad to take time off work, spend time with Harri and keep life as normal as possible for his sister Ellie. Fundraising has now ceased, as the family humbly decided that the community had raised more than enough to support them. After talking to Harri’s mother, Liz, in the school yard last month, she told me about how much she was looking forward to taking time away from the hospital. It would also give Harri and his sister, Ellie, a well-deserved break and the opportunity for him to get back to enjoying his childhood. This got us thinking that, just because Harri’s treatment was coming to an end, it needn’t mean that our support should stop. With this in mind, we decided that for every new job we undertake, we’ll donate £100 to send Harri and his family on a life-changing holiday to the Walt Disney World Resort in Orlando next spring. If you’d like to help, you can make a donation at the fundraising page for Harri. The road to recovery is going to be a long and challenging one for Harri, but we’re so relieved that the family is now at a place where they can breathe a little easier and focus on creating some happy memories.